You have to tell us in your comment as to why you would like to win the book "Beautiful Skin Revealed.You should also fulfil any one of the conditions (rules) from (1) to (8) and mention that in the same comment. Commenting on the post by fulfilling at least one rule and with a valid email address or your twitter id is absolutely necessary to let me know what you did to enter this contest. Leave links wherever applicable. Also remember that without fulfilling the mandatory requirements, all other entries will be considered invalid. For extra entries, leave separate comments for each entry to increase your chances of winning. The giveaway ends on April 1, 2011 and is open to entrants in the 50 United States only. One lucky winner will be chosen through random.org and the results will be announced on April 2, 2011. I'd like to win this because I am going through adult acne right now. My wife has beautiful skin and works to keep it beautiful. I want her to have all the information she needs. As I'm getting older I'm trying to establish a better skin care system and this would really help. I subscribed to the email updates and connected with Google Friends! I feel like my skin could be in better condition, but I don't know how. I'd love to learn ways to take better of it. follower on GFC. I'd like this book because I get very dry skin. I follow you on GFC,Thanks! This would be perfect resource for my daughter! This would be for my little sister; I am a follower. 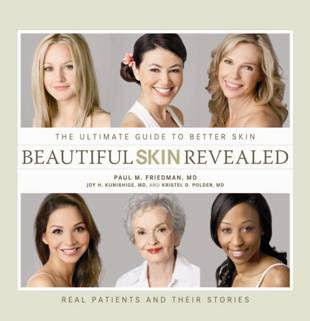 I'd like to win this book because I'd love to learn ways to have more beautiful skin!